Rubinstein-Taybi Syndrome (RSTS) is a rare genetic disorder. 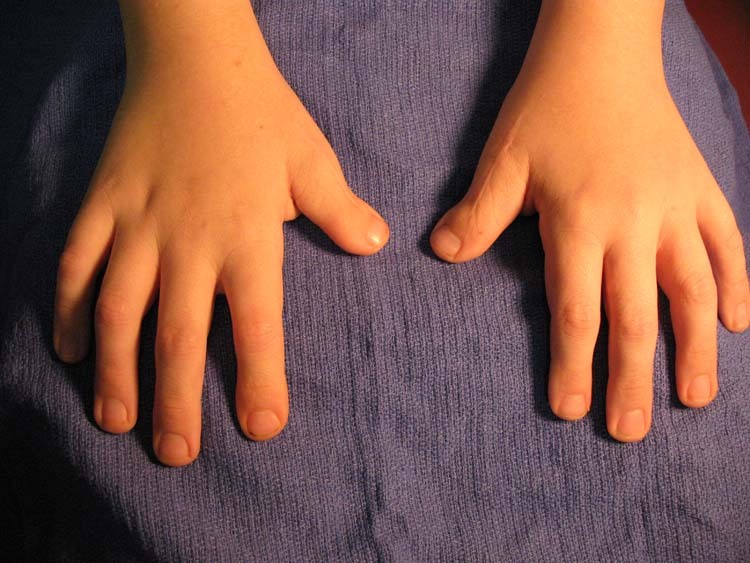 Individuals are characterized by broad halluces and thumbs, hyper-extensible joints and other classic features. 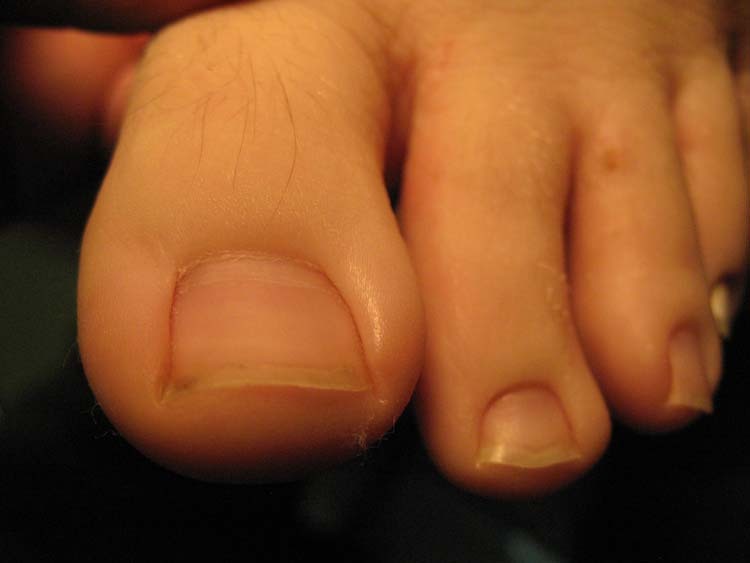 The broad hallux often leads to complications such as ingrown toe nails. The syndrome is extremely rare and this appears to be the first reported case in the podiatric literature. Current literature reports that 100% of all RSTS patients present with broad halluces. The condition is extremely rare (1:300,000 up to 1:1,000,000). The podiatric and orthopedic community should be aware of the syndrome and its associated complications. The purpose of this report is to provide information on RSTS and the associated complications. In this paper we report a case encountered on referral for ingrown hallux nail. A 12 year old male presents to the office setting with a painful ingrown toe nail with a broad hallux and nail plate. The patient’s medical history includes Rubinstein-Taybi Syndrome (RSTS), a recent surgery on bilateral polluces, previous foot surgery and a heart condition at birth. The patient appeared small for his stated age and had striking facial features. (Figs. 1) He was very pleasant on examination and mentally retarded. 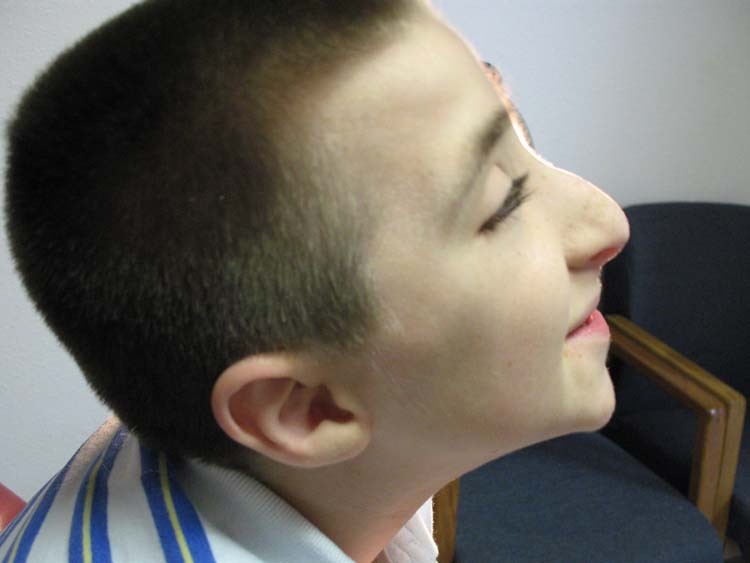 Figures 1 The facial features of Rubinstein-Taybi Syndrome. These include anti-mongoloid slant of eyes, heavy eye brows, low set ears and beaked nose. Figure 2 There is a plantar cleft to the plantar first interspace, hyper-extensible joint and broad hallux. Figure 3 The hallux nail plate is broad with inflammation and pain to the nail borders and ungula nail folds. Figures 4 The thumbs have been corrected from ulnar deviation. The broadness of the thumb is still evident. Since the hallux nail was painful, we elected to perform a modified Winograd procedure as an outpatient procedure in a surgical center. Anesthesia administered nitrous oxide via mask and local anesthetic with tourniquet was utilized. Patient tolerated the procedure well with no complication. Although this was a simple case of onychocryptosis, we found this presenting case worthy of documentation and literature review. It appears there is very little documented evidence of this syndrome in the podiatric and orthopaedic literature. RSTS occurs when a mutation of the CREB-binding protein (CREBBP) causes a genetic defect. Although several molecular and genetic investigations have been undertaken, the syndrome has not been definitively characterized by a single deletion or translocation. One of the more common findings is a mutation of the EP300 gene and that a microdeletion is most likely the problem. Petrij, et al., reported all patients with RSTS studied demonstrated a deletion at 16p13.3 with is the region coding for CREBBP. CREBBP is a transcription coactivator and functions as a potent histone acetyltransferase, both of which are essential to normal development. Petriji, et al., proposed that the loss of one functional allele for the CREBBP is responsible for the propensity of RSTS patients to form neoplams and keloids. 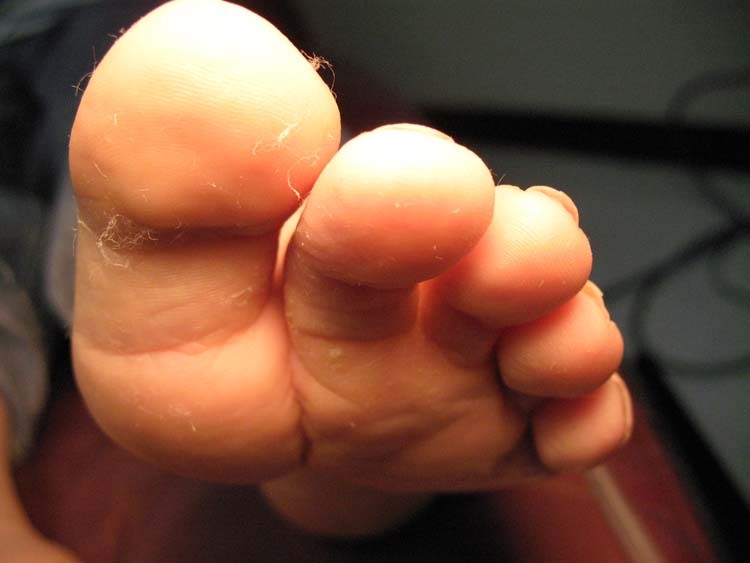 The hypermobility of the first metatarsophalangeal joint with broad hallux may explain the unusual skin cleft to the plantar first interspace of the foot. In conclusion, RSTS is a rare genetic condition that invariably involves the lower extremity-in particular the halluces. We present this case report to inform the podiatric community of this condition and document a rare syndrome. 1. Baran R, Bureau H, Sayag J. Congenital malalignment of the big toenail. Clin Exp Dermatol. 4:359–360, 1979. 2. Baxter, Garry and Lorrie. Rubinstein-Taybi Parent Group. First Printing, April 90 Second Printing – Updated – February 92 Third Printing, [Online]. 3.Mijuskovic, Z. Rubinstein-Taybi Syndrome Last Updated: Sep 20, 2006. e-medicine.Author: Zeljko P Mijuskovic, MD, Coauthor(s): Djordjije Karadaglic, MD, DSc, Ljubomir Stojanov, MD, PhD, [Online]. 4. Oike, Y.; Hata, A.; Mamiya, T.; Kaname, T.; Noda, Y.; Suzuki, M.; Yasue, H.; Nabeshima, T.; Araki, K.; Yamamura, K. : Truncated CBP protein leads to classical Rubinstein-Taybi syndrome phenotypes in mice: implications for a dominant-negative mechanism. Hum. Molec. Genet. 8: 387-396, 1999. 5. Petrij, F.; Giles, R. H.; Dauwerse, H. G.; Saris, J. J.; Hennekam, R. C. M.; Masuno, M.; Tommerup, N.; van Ommen, G.-J. B.; Goodman, R. H.; Peters, D. J. M.; Breuning, M. H. : Rubinstein-Taybi syndrome caused by mutations in the transcriptional co-activator CBP. Nature 376: 348-351, 1995. PubMed ID : 7630403. 6. Roelfsema, J. H.; White, S. J.; Ariyurek, Y.; Bartholdi, D.; Niedrist, D.; Papadia, F.; Bacino, C. A.; den Dunnen, J. T.; van Ommen, G.-J. B.; Breuning, M. H.; Hennekam, R. C.; Peters, D. J. M. : Genetic heterogeneity in Rubinstein-Taybi syndrome: mutations in both the CBP and EP300 genes cause disease. Am. J. Hum. Genet. 76: 572-580, 2005. 7. 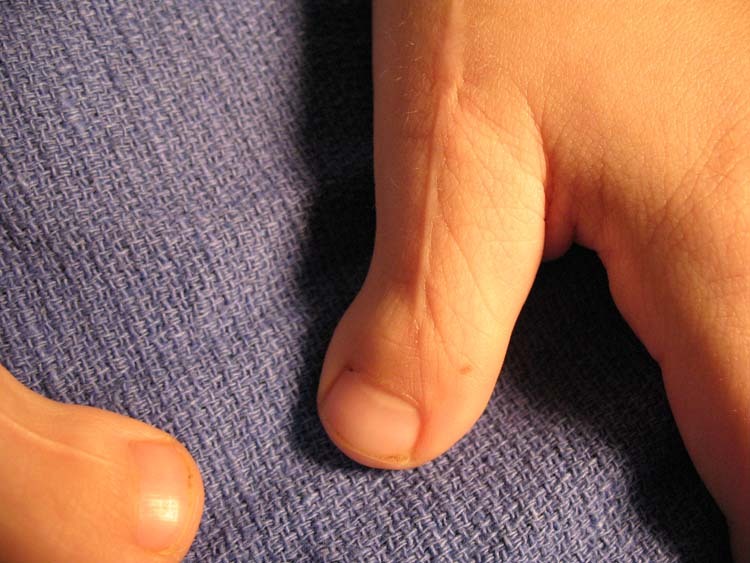 Rubinstein, J. H.; Taybi, H. : Broad thumbs and toes and facial abnormalities. Am. J. Dis. Child. 105: 588-608, 1963. 1 Submitted during clinical clerkship in May 2008, Corpus Christi, Texas 78404. Fourth year podiatry student, Barry University School of Podiatric Medicine. 2 Adjunct Clinical Faculty, Barry University School of Podiatric Medicine. Private practice, Chief of Podiatry, Doctors Regional Medical Center. Corpus Christi, Texas, 78411. This entry was posted in Uncategorized and tagged Ingrown toenails, RSTS, Rubinstein-Taybi Syndrome. Bookmark the permalink.